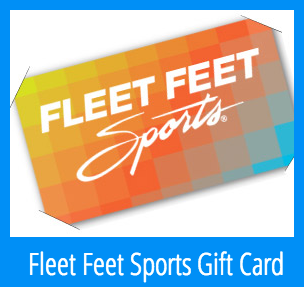 Fleet Feet Gift Cards are perfect for everybody on your list. From your running spouse, to your cross country son or daughter, to that special teacher or kindly neighbor, a gift card is sure to fit the bill. But why not treat yourself as well. Fleet Feet can help you do that. Buy a $150 gift card and receive a $15 gift card for yourself.